Venta de Otoño: Llama al (866) 490-5651 para el Gran Premio! La venta de carros usados más grande de Arizona viene al Estadio State Farm en Glendale! Octubre 11 al 14, 2018. Un inventario masivo, financiamiento aquí mismo, evaluaciones de CarFax, estacionamiento gratis, y más! Ven y ahorra en tu próxima compra de carro usado! • Carros, SUVs, y camionetas de todas las marcas! Enter Your Zipcode to Sort by Location! KBB.com 10 Most Fuel-Efficient Cars Under $25,000. This Mitsubishi Mirage boasts a Regular Unleaded I-3 1.2 L/73 engine powering it's polished transmission. Wheels: 14 Steel w/Full Wheel Covers, Variable Intermittent Wipers, Urethane Gear Shift Knob. *This Mitsubishi Mirage Comes Equipped with These Options *Trip Computer, Torsion Beam Rear Suspension w/Coil Springs, Tires: P165/65R14 Low Rolling Resistance, Tailgate/Rear Door Lock Included w/Power Door Locks, Strut Front Suspension w/Coil Springs, Steel Spare Wheel, Single Stainless Steel Exhaust, Side Impact Beams, Seats w/Cloth Back Material, Rigid Cargo Cover. * The Experts' Verdict...*As reported by KBB.com: If the most important thing to you is getting the cheapest new car you can find with the most equipment and best possible fuel economy, you'll like the 2015 Mitsubishi Mirage. It even features a confidence-boosting 10-year/100,000-mile powertrain warranty. * Visit Us Today *Stop by Larry H Miller Chrysler Jeep Dodge Ram Surprise located at 13165 North Autoshow Ave, Surprise, AZ 85388 for a quick visit and a great vehicle! FUEL EFFICIENT 40 MPG Hwy/29 MPG City! LT trim. CD Player, Onboard Communications System, Smart Device Integration, Aluminum Wheels, Satellite Radio, iPod/MP3 Input. CLICK NOW!KEY FEATURES INCLUDESatellite Radio, iPod/MP3 Input, CD Player, Onboard Communications System, Aluminum Wheels, Smart Device Integration. MP3 Player, Keyless Entry.EXPERTS ARE SAYINGSporty looks, 10 standard airbags, interesting interior design, available 1.4-liter turbo from the Cruze with 40-mpg potential, low price. -CarAndDriver.com.MORE ABOUT USAt Larry H. Miller Hyundai Peoria, our goal is to provide a simple and stress-free shopping experience to our customers. Stop by Larry H. Miller Hyundai Peoria located at 8425 W Bell Rd, Peoria, AZ 85382 to make this car yours today!Fuel economy calculations based on original manufacturer data for trim engine configuration. Please confirm the accuracy of the included equipment by calling us prior to purchase. Third Row Seat, Rear Air, Running Boards, Dual Zone A/C, Onboard Communications System, CD Player, TRANSMISSION, 4-SPEED AUTOMATIC, ELEC..., ENGINE, VORTEC 5.3L V8 SFI, Aluminum Wheels, Edmunds Consumers' Most Wanted SUV Under $45,000 KEY FEATURES INCLUDE Third Row Seat, Rear Air, Running Boards, CD Player, Onboard Communications System, Trailer Hitch, Aluminum Wheels, Dual Zone A/C Chevrolet LS with Silver Birch Metallic exterior and Lt Titanium/Dk Titanium interior features a 8 Cylinder Engine with 320 HP at 5200 RPM*. OPTION PACKAGES AUDIO SYSTEM, AM/FM STEREO with MP3 compatible CD player, seek-and-scan, digital clock, auto-tone control, Radio Data System (RDS), speed-compensated volume and TheftLock (STD), TRANSMISSION, 4-SPEED AUTOMATIC, ELECTRONICALLY CONTROLLED with overdrive and tow/haul mode (STD), ENGINE, VORTEC 5.3L V8 SFI with Active Fuel Management (320 hp [238.6 kW] @ 5200 rpm, 340 lb-ft of torque [459.0 N-m] @ 4200 rpm), iron block (STD). MP3 Player, Privacy Glass. EXPERTS ARE SAYING The Chevrolet Suburban is still virtually unmatched when it comes to space and utility. -Edmunds.com. Edmunds Consumers' Most Wanted SUV Under $45,000. 5 Star Driver Front Crash Rating. 5 Star Passenger Front Crash Rating. 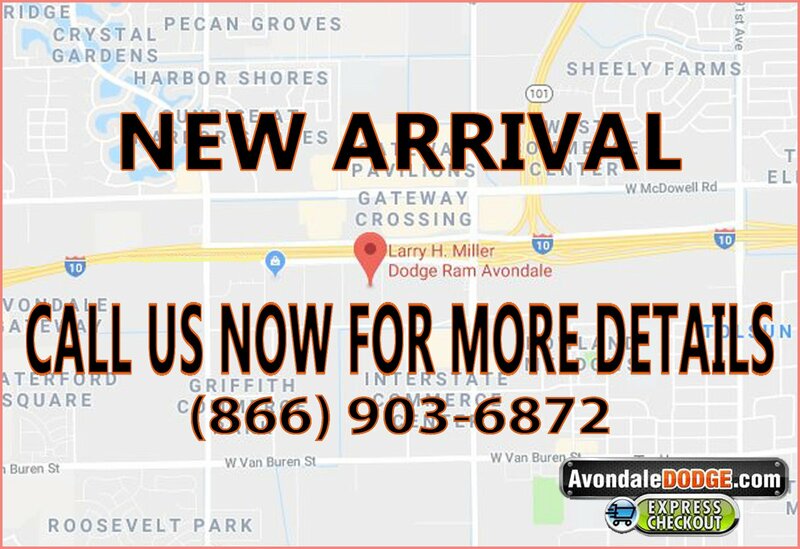 WHY BUY FROM US Larry H. Miller Dodge Ram Avondale is proud to serve the Phoenix area with quality new and used cars. We're here to provide a fun, easy and valuable automotive shopping experience. Stop by our dealership today at 10101 W. Papago Freeway to see for yourself! Horsepower calculations based on trim engine configuration. Please confirm the accuracy of the included equipment by calling us prior to purchase. Buckle up for the ride of a lifetime! This 2004 Ford Ranger XLT Appearance includes a top-notch anti-lock brakes. It comes with a 6 Cylinder engine. We're offering a great deal on this one at $9,945. This super cab is one of the safest you could buy. It earned a crash test rating of 4 out of 5 stars. Exhibiting a classic blue exterior and a medium dark flint interior, this vehicle won't be on the market for long. Don't wait on this one. Schedule a test drive today! This White 2012 Honda Civic LX might be just the coupe for you. We're offering a great deal on this one at $9,945. Flaunting a stunning white exterior and a stone interior, this car is a sight to see from the inside out. This is the vehicle for you! Give us a call today and don't let it slip away! KBB.com 10 Coolest New Cars Under $18,000. Scores 31 Highway MPG and 24 City MPG! This Hyundai Veloster delivers a Turbocharged Gas I4 1.6L/97 engine powering this Automatic transmission. WHEEL LOCKS, ULTIMATE PKG -inc: panoramic sunroof, backup warning sensors, auto headlights, navigation system w/rearview camera, 115V outlet, MARATHON BLUE. * This Hyundai Veloster Features the Following Options *CARGO NET, BLACK, LEATHER SEATS, AUTO-DIMMING REAR VIEW MIRROR W/HOMELINK, Vehicle stability management (VSM), Variable intermittent front wipers w/mist function -inc: rear wiper, Unique front fascia/grille, Trip Computer, Traction Control System (TCS), Torsion axle rear suspension -inc: coil springs, Tire pressure monitoring system (TPMS). * This Hyundai Veloster is a Superstar! *KBB.com 10 Coolest New Cars Under $18,000, KBB.com 5-Year Cost to Own Awards. * The Experts' Verdict...*As reported by KBB.com: If you want a small car that's huge on style and fun to drive, yet also fuel-efficient and won't cost a fortune to buy, the Veloster should be on your short list. In Turbo form, the car has the power to back up its looks. * Visit Us Today *Test drive this must-see, must-drive, must-own beauty today at Larry H. Miller Dodge Peoria, 8665 West Bell Rd, Peoria, AZ 85382. EPA 36 MPG Hwy/28 MPG City! Veloster trim. iPod/MP3 Input, CD Player, Onboard Communications System, Aluminum Wheels, Back-Up Camera, Satellite Radio. AND MORE!KEY FEATURES INCLUDEBack-Up Camera, Satellite Radio, iPod/MP3 Input, CD Player, Onboard Communications System, Aluminum Wheels Rear Spoiler, MP3 Player.VEHICLE REVIEWSKBB.com explains The 2014 Hyundai Veloster is a sleek coupe-like compact with a barely visible third door on its right-hand side. This unique feature allows easier entry and exit by rear-seat passengers without creating the family-sedan look imparted by many 4-doors..WHO WE AREAt Larry H. Miller Hyundai Peoria, our goal is to provide a simple and stress-free shopping experience to our customers. Stop by Larry H. Miller Hyundai Peoria located at 8425 W Bell Rd, Peoria, AZ 85382 to make this car yours today!Fuel economy calculations based on original manufacturer data for trim engine configuration. Please confirm the accuracy of the included equipment by calling us prior to purchase. This Cloud White 2017 Nissan Versa 1.6 SV might be just the sedan for you. This one's on the market for $10,778. It also includes 24-hour Emergency Roadside Assistance, Car Rental Reimbursement and Towing Benefit, CARFAX Vehicle History Report, SiriusXM Satellite Radio with 3-month trial subscription, Optional Security+Plus Extended Protection Plan. This vehicle also comes with 100,000 warranty miles, and 7 warranty years and has been subjected to a rigorous, 167 -point inspection for condition and appearance. It has great mileage with 31 MPG in the city and 39 MPG on the highway. Flaunting a classic cloud white exterior and a charcoal interior, this car is a sight to see from the inside out. View this beauty and our entire inventory today! Call for more details. 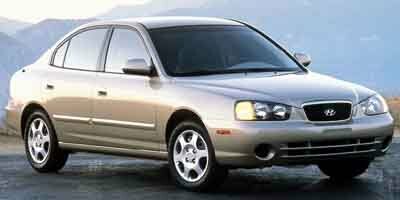 KBB.com 10 Most Comfortable Cars Under $30,000. Boasts 35 Highway MPG and 25 City MPG! This Toyota Camry delivers a Gas I4 2.5L/152 engine powering this Automatic transmission. Whiplash-lessening front seats, Vehicle stability control, Variable assist pwr rack & pinion steering. *This Toyota Camry Comes Equipped with These Options *Traction control, Tire Pressure Monitor System, Smart stop technology, Side-impact door beams, Rear window defogger w/timer, Pwr windows -inc: driver auto up/down, retained pwr, pinch protection, Pwr front ventilated/rear solid disc brakes -inc: brake assist, Pwr auto door locks w/anti-lockout feature, Overhead console -inc: front map lights, sunglass holder, Lockable illuminated glove box. * The Votes are Counted *KBB.com 10 Best Sedans Under $25,000, KBB.com Best Resale Value Awards, KBB.com 10 Most Comfortable Cars Under $30,000. * Visit Us Today *Test drive this must-see, must-drive, must-own beauty today at Larry H. Miller Dodge Peoria, 8665 West Bell Rd, Peoria, AZ 85382. KBB.com 10 Best Sedans Under $25,000. Scores 36 Highway MPG and 23 City MPG! 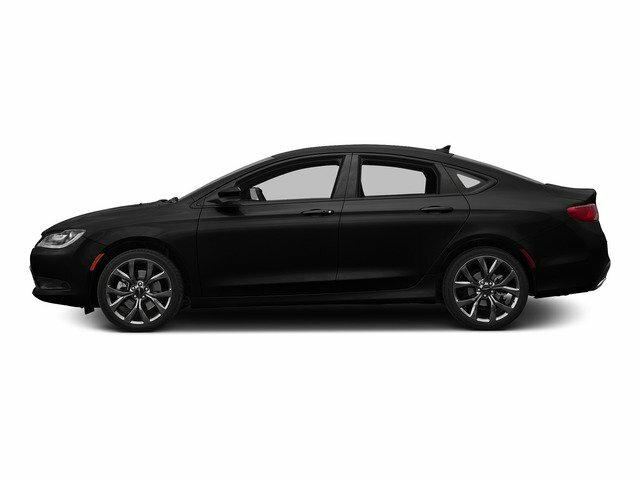 This Chrysler 200 boasts a Regular Unleaded I-4 2.4 L/144 engine powering this Automatic transmission. WHEELS: 17 X 7.5 TECH SILVER ALUMINUM (STD), TRANSMISSION: 9-SPEED 948TE AUTOMATIC (STD), TIRES: P215/55R17 BSW AS (STD). *This Chrysler 200 Comes Equipped with These Options *QUICK ORDER PACKAGE 28E -inc: Engine: 2.4L I4 MultiAir, Transmission: 9-Speed 948TE Automatic , POWER 8-WAY DRIVER SEAT -inc: Power 4-Way Driver Lumbar Adjust, PARKVIEW REAR BACK-UP CAMERA, MANUFACTURER'S STATEMENT OF ORIGIN, ENGINE: 2.4L I4 MULTIAIR (STD), CONVENIENCE GROUP -inc: Leather Wrapped Steering Wheel, Sun Visors w/Illuminated Vanity Mirrors, Body Color Power Heated Mirrors, Power 8-Way Driver Seat, Power 4-Way Driver Lumbar Adjust, BLACK, PREMIUM CLOTH BUCKET SEATS, BLACK CLEARCOAT, Window Grid Antenna, Wheels: 17 x 7.5 Tech Silver Aluminum. * Expert Reviews! *As reported by KBB.com: One of the more attractive interiors in the segment at an affordable price is tough to overlook. A refined 4-cylinder engine offers respectable fuel economy due in part to the new 9-speed automatic transmission. If it's power you seek, the Pentastar V6 serves up 295 horsepower. * Visit Us Today *You've earned this- stop by Larry H. Miller Dodge Peoria located at 8665 West Bell Rd, Peoria, AZ 85382 to make this car yours today! Don't miss out on this 2012 Kia Sorento LX! It comes with a hill start assist, stability control, traction control, anti-lock brakes, dual airbags, side air bag system, and airbag deactivation for an even better ride. This one's on the market for $10,945. Don't skimp on safety. Rest easy with a 4 out of 5 star crash test rating. Interested? Don't let it slip away! Call today for a test drive. EPA 30 MPG Hwy/22 MPG City! SE trim. iPod/MP3 Input, Satellite Radio, Bluetooth, Brake Actuated Limited Slip Differential, CD Player, Back-Up Camera, WHEELS: 17 ALLOY SPARKLE SILVER PAINTED ALUMINUM, WHEELS: 17 ALLOY SPARKLE SILVER PAIN... Alloy Wheels, 4x4, Turbo CLICK NOW!KEY FEATURES INCLUDE4x4, Back-Up Camera, Turbocharged, Satellite Radio, iPod/MP3 Input, Bluetooth, CD Player, Brake Actuated Limited Slip DifferentialOPTION PACKAGESWHEELS: 17 ALLOY SPARKLE SILVER PAINTED ALUMINUM (STD). Rear Spoiler, MP3 Player.EXPERTS REPORTThe 2014 Ford Escape is one of our favorite small crossover utility vehicles, thanks to athletic driving dynamics, an inviting cabin and useful high-tech features. -Edmunds.com.VISIT US TODAYAt Larry H. Miller Hyundai Peoria, our goal is to provide a simple and stress-free shopping experience to our customers. Stop by Larry H. Miller Hyundai Peoria located at 8425 W Bell Rd, Peoria, AZ 85382 to make this car yours today!Fuel economy calculations based on original manufacturer data for trim engine configuration. Please confirm the accuracy of the included equipment by calling us prior to purchase. This 2016 Nissan Sentra S is complete with top-features such as the braking assist, stability control, traction control, anti-lock brakes, dual airbags, side air bag system, digital display, and airbag deactivation. This one's available at the low price of $11,345. It also includes 24-hour Emergency Roadside Assistance, Car Rental Reimbursement and Towing Benefit, CARFAX Vehicle History Report, SiriusXM Satellite Radio with 3-month trial subscription, Optional Security+Plus Extended Protection Plan. This vehicle also comes with 100,000 warranty miles, and 7 warranty years and has been subjected to a rigorous, 167 -point inspection for condition and appearance. This safe and reliable sedan has a crash test rating of 4 out of 5 stars! For a good-looking vehicle from the inside out, this car features a beautiful gun metallic exterior along with a charcoal interior. It has the best mileage with 29 MPG in the city and 38 MPG on the highway. Make your move before it's too late schedule a test drive today! GREAT MILES 41,378! CD Player, Onboard Communications System, Smart Device Integration, Alloy Wheels, Satellite Radio, iPod/MP3 Input. KEY FEATURES INCLUDE Satellite Radio, iPod/MP3 Input, CD Player, Onboard Communications System, Aluminum Wheels, Smart Device Integration. Rear Spoiler, MP3 Player. EXPERTS ARE SAYING CarAndDriver.com explains Sporty styling, decent horsepower, hatchback practicality, and good fuel economy should appeal to young buyers.. BUY FROM AN AWARD WINNING DEALER Larry H. Miller Dodge Ram Avondale is proud to serve the Phoenix area with quality new and used cars. We're here to provide a fun, easy and valuable automotive shopping experience. Stop by our dealership today at 10101 W. Papago Freeway to see for yourself! Please confirm the accuracy of the included equipment by calling us prior to purchase. 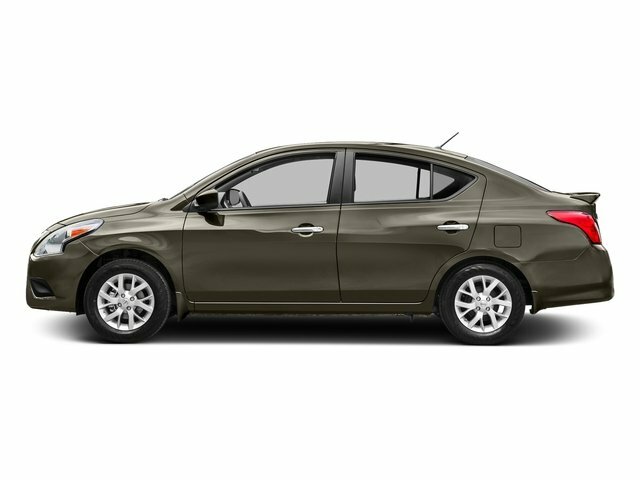 Equipped with a braking assist, stability control, traction control, anti-lock brakes, dual airbags, side air bag system, digital display, and airbag deactivation, this 2018 Nissan Versa SV is a must for smart drivers everywhere. This one's available at the low price of $11,678. It also includes 24-hour Emergency Roadside Assistance, Car Rental Reimbursement and Towing Benefit, CARFAX Vehicle History Report, SiriusXM Satellite Radio with 3-month trial subscription, Optional Security+Plus Extended Protection Plan. This vehicle also comes with 100,000 warranty miles, and 7 warranty years and has been subjected to a rigorous, 167 -point inspection for condition and appearance. Stay safe with this sedan's 4 out of 5 star crash test rating. Rocking a charming red exterior and a charcoal interior, this car is a sight to see from the inside out. It has great mileage with 27 MPG in the city and 36 MPG on the highway. This is the vehicle you have been waiting for! Call now to schedule a test drive! KBB.com 10 Coolest New Cars Under $18,000. Delivers 34 Highway MPG and 24 City MPG! This Chevrolet Sonic boasts a Gas I4 1.8L/110 engine powering this Automatic transmission. WHEELS, 16 (40.6 CM) ALUMINUM, TRANSMISSION, 6-SPEED AUTOMATIC (STD), TIRES, P205/55R16 ALL-SEASON, BLACKWALL. *This Chevrolet Sonic Comes Equipped with These Options *RS PACKAGE includes (BVG) sport body kit, (T3U) front fog lamps, (B6E) sporty rocker moldings, (D59) integrated decklid rear spoiler, (E38) RS lettering, (VWC) Piano Black accented instrument panel, (N35) sport, 3-spoke leather-wrapped with contrasting stitching, flat bottom steering wheel and (B54) carpeted front and rear, deluxe floor mats (Also includes (P1H) 16 aluminum wheels and (ACB) Jet Black Deluxe Cloth interior. , STEERING WHEEL, SPORT, 3-SPOKE LEATHER-WRAPPED with contrasting stitching, flat bottom, SPOILER, REAR, INTEGRATED DECKLID, SILVER ICE METALLIC, SEATS, FRONT BUCKET WITH RECLINE AND HEIGHT-ADJUSTABLE HEADRESTS (STD), ORNAMENTATION, RS LETTERING, MOLDINGS, ROCKER, SPORTY, LT PREFERRED EQUIPMENT GROUP includes Standard Equipment, LPO, CARGO NET, JET BLACK, DELUXE CLOTH SEAT TRIM. * The Votes are Counted *KBB.com 10 Coolest New Cars Under $18,000, KBB.com 10 Most Awarded Brands. * Visit Us Today *You've earned this- stop by Larry H Miller Dodge Peoria located at 8665 West Bell Rd, Peoria, AZ 85382 to make this car yours today! CARFAX 1-Owner. FUEL EFFICIENT 39 MPG Hwy/31 MPG City! SV trim. CD Player, Bluetooth, iPod/MP3 Input, Edmunds.com explains On the road, the 2017 Nissan Versa delivers a comfortable ride quality even over rough road surfaces.. CLICK ME!KEY FEATURES INCLUDEiPod/MP3 Input, Bluetooth, CD Player. Rear Spoiler, MP3 Player.EXPERTS ARE SAYINGOn the road, the 2017 Nissan Versa delivers a comfortable ride quality even over rough road surfaces. -Edmunds.com.SHOP WITH CONFIDENCECARFAX 1-OwnerVISIT US TODAYAt Larry H. Miller Hyundai Peoria, our goal is to provide a simple and stress-free shopping experience to our customers. Stop by Larry H. Miller Hyundai Peoria located at 8425 W Bell Rd, Peoria, AZ 85382 to make this car yours today!Fuel economy calculations based on original manufacturer data for trim engine configuration. Please confirm the accuracy of the included equipment by calling us prior to purchase. Auto fans love the push button start, a navigation system, braking assist, hill start assist, stability control, traction control, anti-lock brakes, dual airbags, side air bag system, and digital display of this 2015 Nissan LEAF SV. This one's available at the low price of $11,945. Want a hatchback you can rely on? This one has a crash test rating of 4 out of 5 stars! Flaunting a sleek silver exterior and a black interior, this car is a sight to see from the inside out. Experience places you never would have gone before without this state of the art navigation system. Don't wait until it is too late! Call today to schedule an appointment. **TODOS LOS ARRIENDOS SON DE 36 MESES Y 10MIL MILLAS AL AÑ0. $3999 AL FIRMAR MÁS IMPUESTOS, TÍTULO, OTROS COSTOS, Y EL FEE DE DOCUMENTOS DEL DEALER DE $699. INCLUYE TODOS LOS DESCUENTOS APLICABLES. TODOS LOS REEMBOLSOS VAN AL DEALER. TRAS APROBACIOÓN DE CRÉDITO. ^EN ALGUNOS MODELOS. EL INTERÉS SE ACUMULA EL DÍA DE LA COMPRA. 2.25% DE INTERÉS POR 36 MESES ES CON PUNTAJE DE FICO DE AL MENOS 780. ~SUBSIDIO DE TRADE-IN SE BASARÁ EN LOS VALORES DE KELLEY BLUE BOOK. DEDUCCIONES DE ESTE VALOR PUEDEN INCLUIR FALLAS DEL CARRO, DAÑOS AL INTERIOR/EXTERIOR, COSTOS PARA ARREGLARLO, Y MILLAS QUE EXCEDAN LOS $0.20/MILLA ENCIMA DE 20MIL MILLAS ANUALES. TAMBIEÉN INCLUYE HYUNDAI OWNER LOYALTY Y TENDRAÁ QUE SER FINANCIADO A TRAVÉS DE HMF. CONSULTA CON NOSOTROS PARA MÁS DETALLES. LA OFERTA SE EXPIRA 10/21/2018.